Disney Frozen Enchanting Anna Dress Only $9.97 (Reg. $20) + FREE Super Saver Shipping! You are here: Home / Great Deals / Amazon Deals / Disney Frozen Enchanting Anna Dress Only $9.97 (Reg. $20) + FREE Super Saver Shipping! Searching for an Anna dress for your little girl for Christmas? We have a NICE deal on one! 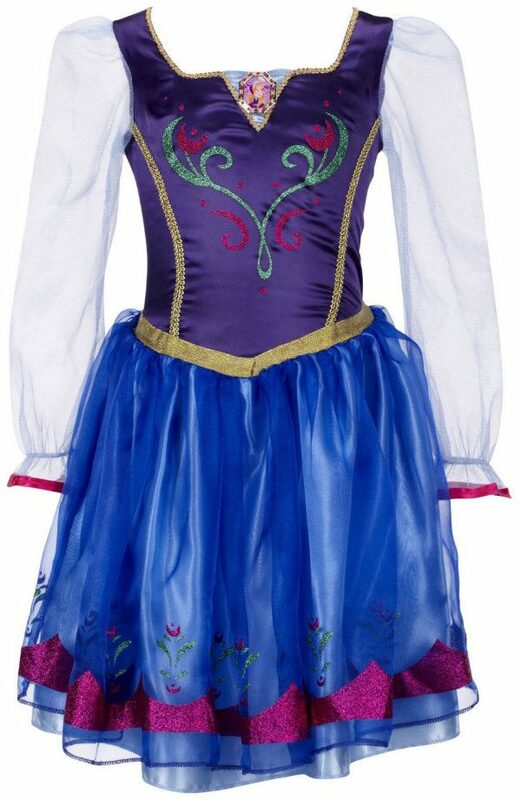 Right now, you can get the Disney Frozen Enchanting Anna Dress for just $9.97 (reg. $20)! And, shipping is FREE with Super Saver Shipping! This is the lowest price I’ve seen for this dress, so make sure you grab it now before the price goes back up! Thanks, Happy Deal Happy Day!